CTC Technology and Energy awarded a contract to TekSynap to provide Engineering and Project Management services in support of the National Capital Region (NCR) Interconnection Network. 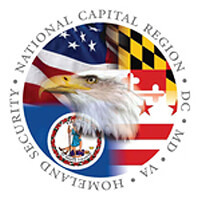 The National Capital Region Interconnection Network, also known as NCRnet, is a private, high-speed fiber optic network interconnecting 24 regional jurisdictions and municipalities as well as the Metropolitan Washington Council of Governments (COG). The network is primarily comprised of dedicated fiber optic strands, with limited use of leased wavelengths where dedicated strands are not currently available. Network links typically operate at Ethernet speeds of either 10 or 1 Gigabit per second. We are providing technical expertise and project management for the deployment of multiple applications utilizing the NCRnet. We were also tasked to perform design and implementation services for deployment of an Intrusion Detection and Prevention IDS/IPS system for the NCRnet infrastructure. Additionally, our team is providing technical expertise and design support for the expansion of the NCRnet to include establishing peering with NetworkMaryland, another regional network, as well as establishing connectivity to multiple small municipalities within the NCRnet footprint.